To support the increasing need to expand production and business at year-end of small and medium enterprise (SME) customers, Vietnam Prosperity Bank (VPBank) has offered simultaneously two preferential loan programs to SMEs. First, it must be mentioned the outstanding program “Preferential loans at 5%” with the total budget of more than VND 2,000 billion. Accordingly, SMEs who wish to apply for loans to expand production and business will enjoy the interest rate of 5% p.a. for medium and long term loans (over 12 months) and 8.5% p.a. for loans of less than 12 months in the first 3 months. This program is applied to enterprises satisfying VPBank’s application conditions, and lasts until the end of 30 September 2014 or until the program budget is fully disbursed, whichever is earlier. For enterprises who fail to meet the above application conditions, VPBank offers another attractive promotion named “SME success 2014”. Following the same program in 2013 with the same total budget of up to VND 2,000 billion, SME success 2014 is deployed until the end of 31 August 2014. During this period, customers enjoy the discount 2% p.a. of interest rates compared to VPBank regular rates for a half of their loan tenor, but not exceeding 6 months. 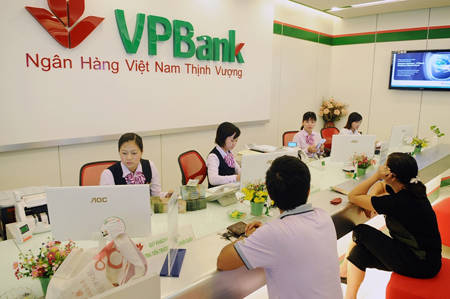 As one of the leading joint-stock commercial banks in Vietnam, VPBank always attempts to improve its products and services, and bring outstanding benefits to its customers to gradually become one of the top-three retail Joint-Stock Commercial banks in Vietnam, and top-five Joint-Stock Commercial banks in Vietnam by 2017. For more information, please contact: 1900 545145 or 04 3928 8880 or visit VPBank website at www.vpbank.com.vn.